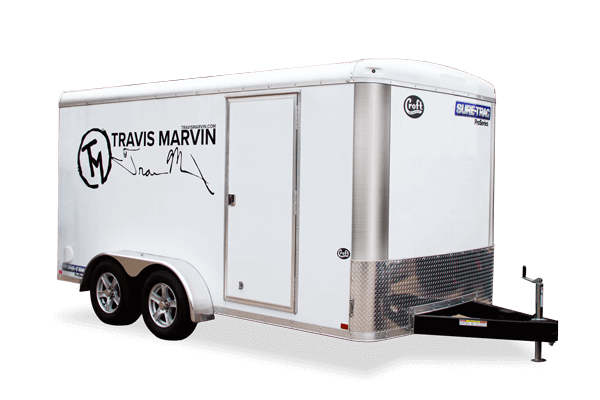 Croft Trailer Supply is proud to sponsor up and coming country star Travis Marvin. With a style similar to Blake Shelton and Eric Church, Travis has steadily gained a loyal following of fans across the country. To get his gear to and from shows safely and securely, Travis relies on his enclosed trailer from Croft Trailer Supply. View a full list of upcoming events on Travis Marvin's website.